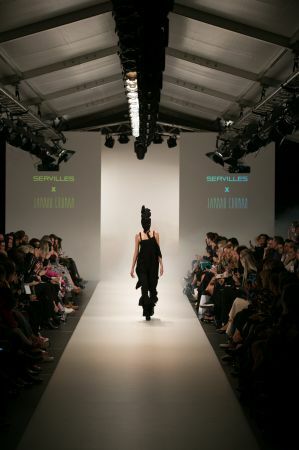 This year at New Zealand Fashion Week, we teamed up with New Zealand designer Jarrad Godman to present ‘Jarrad Godman x Servilles’. 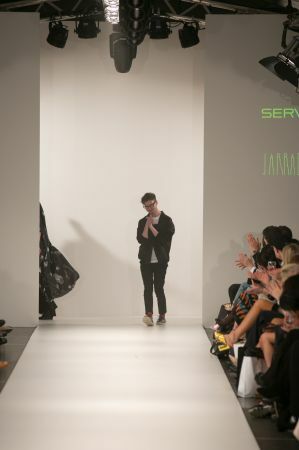 The collaborative show saw a team of Servilles Stylists working alongside Jarrad to create an artistic and dramatic show. 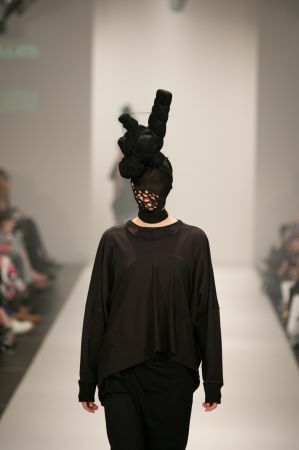 Jarrad Godman is a womenswear label focused on experimental pattern making, quality fabrics and flattering silhouettes. In his Autumn/Winter 2017 collection “SIDEWALK BsAs” he experimented with missing panels, raw edges, frayed custom silk, exposed skin and deconstructed garments. The collection was inspired by a recent hung over search for coffee in Buenos Aires, while he admired the disheveled opulence of his surroundings. 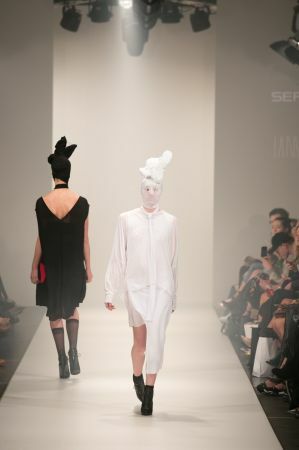 His collection was presented as a collaboration with Servilles. 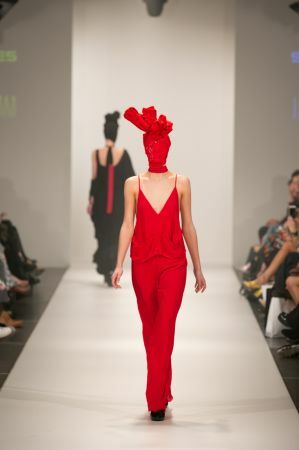 Fabrics from the collection were cleverly manipulated and transformed into sculptural silhouettes. Christo and Jeanne-Claude inspired these avant-grade designs with their wrapped monuments in the fall of 1970. 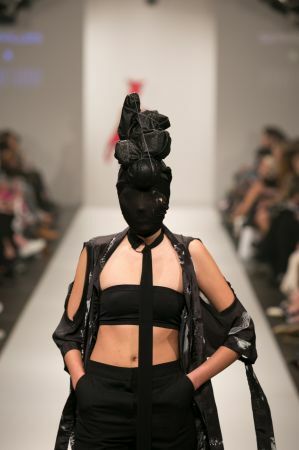 Roxanne ‘Fox’ Stevens was the creator of these head pieces, and with the help of a team of Servilles stylists, 14 different pieces were created for the Jarrad Godman x Servilles show, each taking up to 8 hours to create and each using fabric from the Jarrad Godman collection. 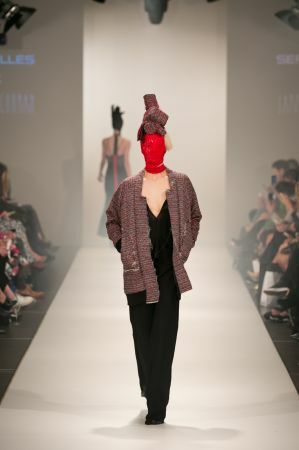 Click here for a closer look into the Jarrad Godman collection, or visit Jarrad’s exclusive Auckland stockist The Shelter to purchase his designs.